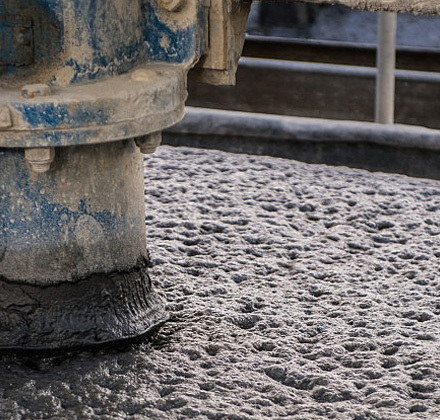 In the mining industry, effective separating the mineral solids from water or aqueous solutions is critical. If there is no effective flocculation in sedimentation or centrifugation process, the heavier inorganic solids may fall to the bottom of the settler and the smaller particles will be suspended in the supernatant, such as the standing solution. Then the efficiency of filtration and dehydration is also significantly decreased by the existed of small amounts of particles in the supernatant. While these small particles can be quickly settled down by adding Polyacrylamide (PAM) to this aqueous dispersion, in this process the individual particles in the suspension tend to aggregate to form heavy aggregates easily and settle very quickly and the upper dispersion becomes a clear liquid. The active groups on the polyacrylamide molecular chains of coal washing adsorb on the surface of the fine particles in the slime water, which connect the particles and make the fine particles form larger flocs and speed up the sedimentation speed of the slime. Using of aqueous coal washing polyacrylamide is the critical process in the treatment of slime water. The flocculation effect could be achieved by proper adding methods and dosing. Appropriate use of polyacrylamide can not only improve the flocculation effect of slime and water clarification, but also can make the recovery of useful solid particles, to avoid pollution of the environment. So in summary flocculants could improve work efficiency, reduce operation costs. Polyacrylamide is typically used in the solid liquid separation of copper smelting process. When copper dissolved in sulfuric acid, the pulp contains large amounts of solid impurities, the effect of solid liquid separation determines the recovery of copper. Polyacrylamide is mainly used in the filtration process. In the oxide ore from the pulp to the cake throughout the process, adding polyacrylamide can significantly reduce the moisture content in the cake for the enterprises in the follow-up smelting process to save energy consumption, while effectively preventing the cycle filter In the process of crushing the unformed filter cake. Polyacrylamide could be used in flotation process and tailing water treatment in gold and silver mining. Generally both gravity concentrate and flotation are used in gold and silver ore beneficiation. If the size of gold ore embedded cloth coarse, then the gravity concentrate of recovery is better. Most of times the recovery equipment is mainly shaker and centrifugal concentrator, and occur in quartz or pyrite in the fine granular gold, the use of flotation method is better. The mineral is usually grinded to 200 mesh (70 ~ 90%), together with collector frothing agent. In summary the specific mineral processing is depends on the mineral properties. After two steps filtration, the ore slurry is moved into the thickeners. Sometimes due to changes of the slurry nature, it is difficult to settlement in the thickener machine and makes the thickener muddy. By adding polyacrylamide as the flocculants, is not only can accelerate the slurry sedimentation, but also can make its pulp precipitation clear.